Looking for a destination on the cutting edge of modern hospitality? You may want to consider adding Dallas to your list, where the luxury boutique properties mix elegance with eccentricities for a delightful surprise. More than cowboys, boots and Tex Mex, Dallas offers up a healthy helping of contemporary style that transcends the Texan stereotype. From properties catering to the classic luxury traveler to those targeting today’s millennial upper crust, the luxury hotel market in Dallas is filled with possibilities for your next stay. The NYLO brand proclaims elemental luxury, transforming unconventional spaces into high-end guestrooms that feel like home. The lofts offer high ceilings, big windows, exposed brick and concrete and a chic minimalism with pops of color. The property is situated far enough outside of downtown to give you views of the skyline, but close enough to easily walk to the Southside Music Hall and Dallas Farmers Market, as well as myriad shopping and dining options. However, the Terrace Bistro and SODA Bar offer all-day dining, with updated, seasonal comfort foods, in case you never want to leave. The overall vibe at this pet-friendly property? A certain lack of extravagance that seems utterly exclusive and a privilege. Everything — from the decor to the dining — revolves around just offering enough to be luxurious, without being over the top. It’s a focus on quality over quantity, with an assurance of the best linens, bath furnishings, toiletries and ingredients, and less fluff. While there’s nothing wrong with a little luxury travel fluff, this isn’t the place to find it. Instead, the NYLO Dallas South Side is the place to find an upscale minimalism that’s entirely refreshing, almost as refreshing as a dip in the rooftop infinity pool. 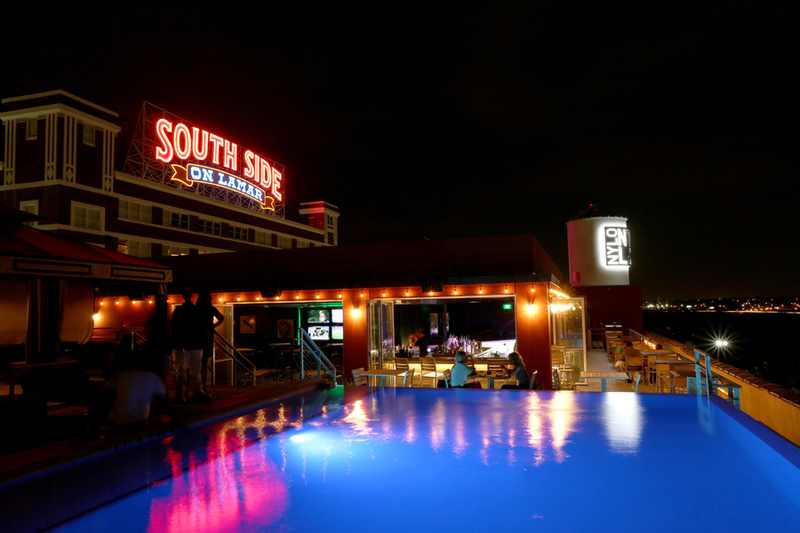 Located in the heart of downtown Dallas, The Joule is known for many things, one of them being its gorgeous rooftop pool that extends out into the open air above the city streets. It frequently makes lists of top rooftop pools in a host of travel publications. Otherwise, the 1920s neo-Gothic architecture and luxury amenities combine classic elegance with a contemporary bold flair. The Joule offers everything a picky and pampered traveler would prefer — art, shopping, dining, a top-notch spa and the perfect location. Within each of the 160 guestrooms, guests can find a minibar stocked with locally-sourced drinks and snacks, plus Taschen look books. The underground spa practically glows with vibrant energy, with cerulean light reflected off polished stone walls, the space created with geothermal inspiration in mind. The treatment menu is decadent and extensive. The lobby is the perfect common space for mixing, mingling or just a cup of coffee, with its warm and inviting atmosphere and cozy leather couches. Though there are several on-site dining options, the favorite is most certainly CBD Provisions, a Texas-style brasserie serving up an elevated version of Tex-Mex and southern fare that appeals to globetrotting gourmands just as much as it does the locals. 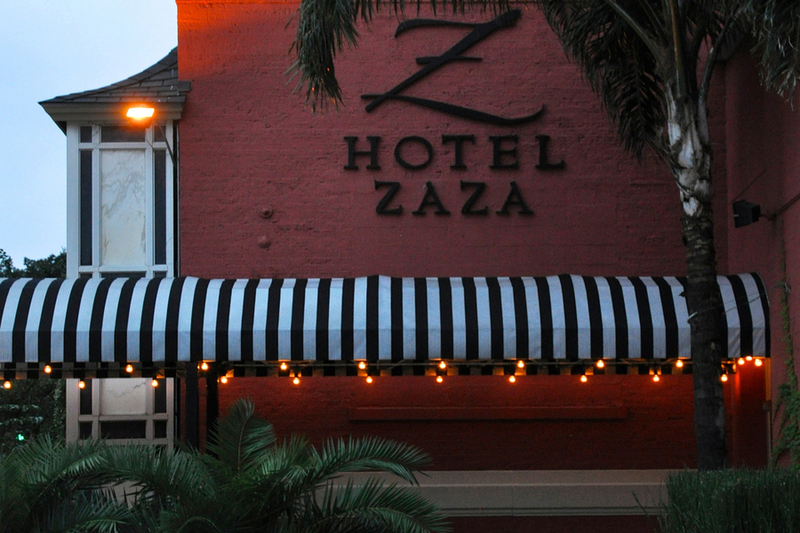 With a name like Hotel ZaZa, you know to expect something a little (or a lot) over the top and completely posh. The decor and little eclectic touches found throughout are altogether delightful, setting this boutique property apart from the rest. If you’re feeling extra luxurious during your stay, book one of the “Magnificent Seven Suites” available, each more extravagant than the last; themes range from a baroque “czar” townhome, to a Hitchcock-inspired pad to a masterful take on Da Vinci’s quarters. The luxury doesn’t end there, however. You can also choose from 19 concept suites, with theming ranging from “Out of Africa” to “Shag-a-Delic.” Yes, the latter does come with beanbag chairs, shag carpeting and lava lamps. 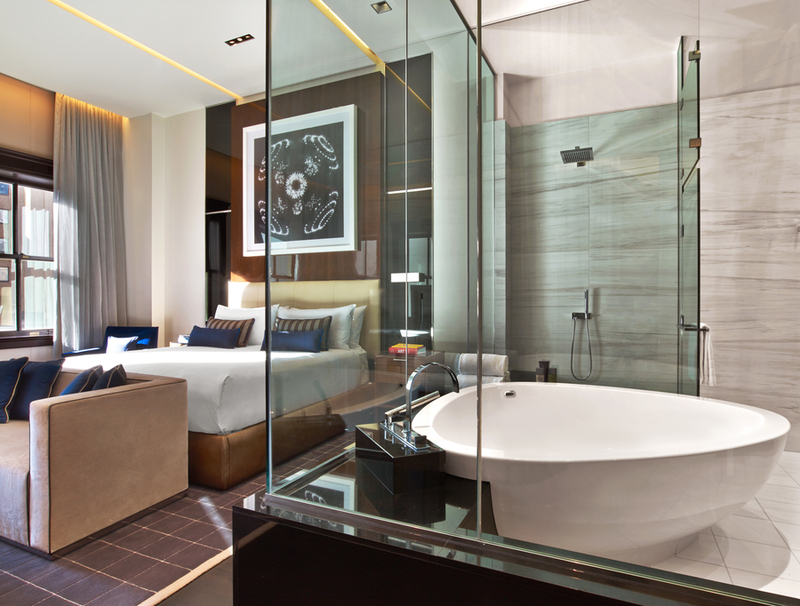 Beyond the in-room experience, Hotel ZaZa serves up plenty to love throughout the rest of the property. The pool is highly praised by visitors, surrounded by striped loungers in a sophisticated setting. At night, Poolside at ZaZa transforms the outdoor venue into a DJ-driven nightlife destination enjoyed by A-listers and travelers with impeccable taste alike. The Dragonfly provides an upscale, on-site dining experience. The restaurant and chef partner with Texas farmers, ranchers and artisans for fresh, local and seasonal favorites. While the dinner menu is tempting, the cocktail menu is possibly even more so, with daring drinks like the Shock the Monkey (Woodford Reserve, Don Q Anejo, Gifford Banane du Bresil, vanilla and cinnamon syrups, pineapple and lime juice) and Devil’s Haircut (gin, aperol, grapefruit juice, rhubarb bitters and grapefruit syrup).